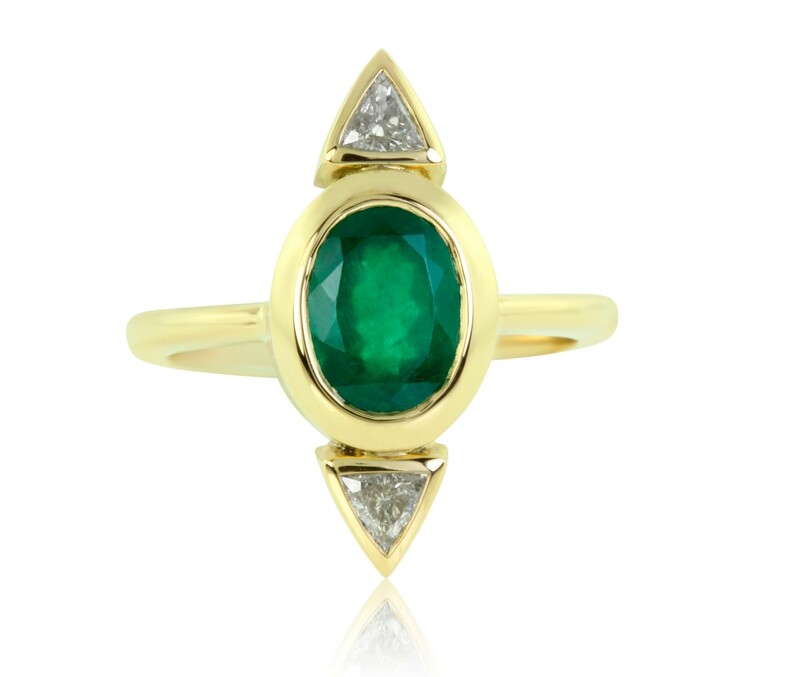 At once modern and edgy, this 18K yellow gold ring features a trio of well-matched gems - a pair of trillion K SI2 diamonds flanking an oval cut Colombian emerald. The mix of shapes results in a cool geometric design. 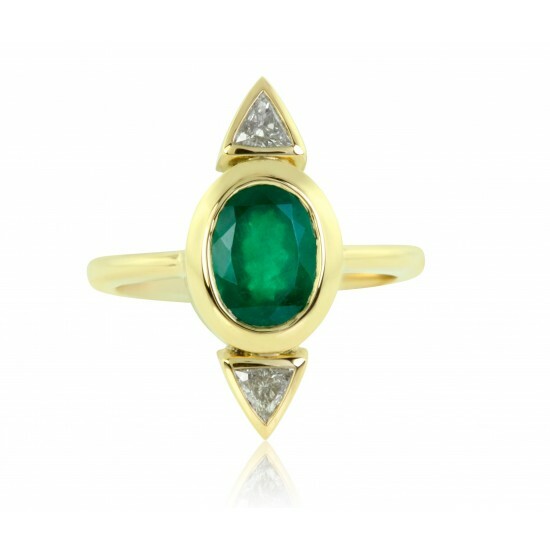 The oval emerald is 1.41 carats and the side diamonds are 0.20 ct. 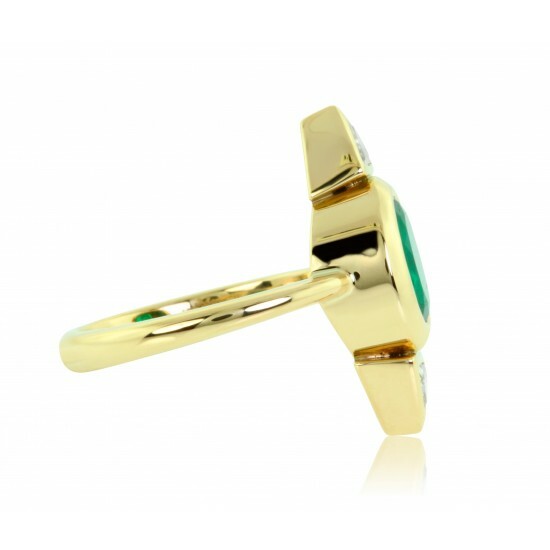 The chic bezel setting ensures that your emerald will not be easily scratched, damaged or prone to fall out. Gold weight: 6.11 grams.